okay, so i’ve tried the device on a couple of family members and since the virtual desktop example is fast enough for my current little computer, it was a great experience for everybody. it seems though that the head tracking in the example is just for turning your head but somehow it’s not tracking your relative height, i.e. looking under the table somehow doesn’t work. one phenomemal feature is that you can really freely look around even behind you. this is increasing immersiveness dramatically. nobody was discussing the screen resolution or response latency but some more got a bit seasick like me. next, i realised that many people actually really want to use and see their hands, so imho this will increase the immersiveness much more than increasing resolution. so i couldn’t wait to get the official mount or nils’ 3d printed version and had to glue it to the dk2. 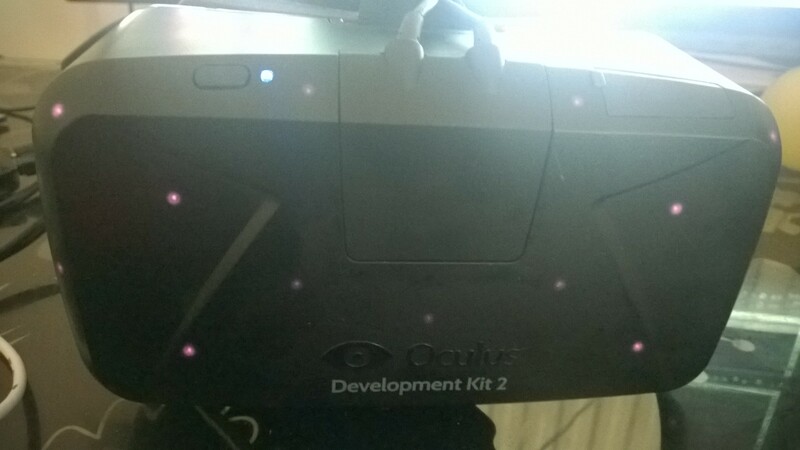 however, i knew that the dk2 has many infrared leds and i wanted to make sure that the head tracking quality is not affected. so i decided to put it right on the logo and wanted to add some tilt to it so that it actually looks sort of down to my hands while i’m looking forward. i took some rubberfoam (the ring above) and cut a line. taped it to the top part. 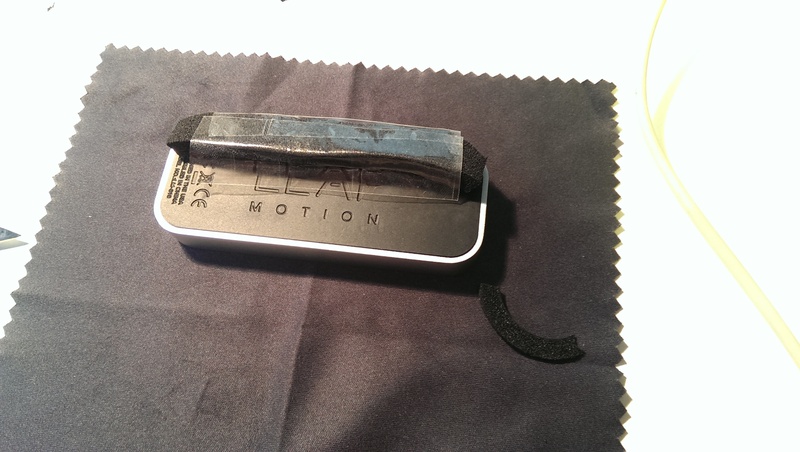 i took scotch tape as, as far as i know, it will let the IR light of the leap motion through. 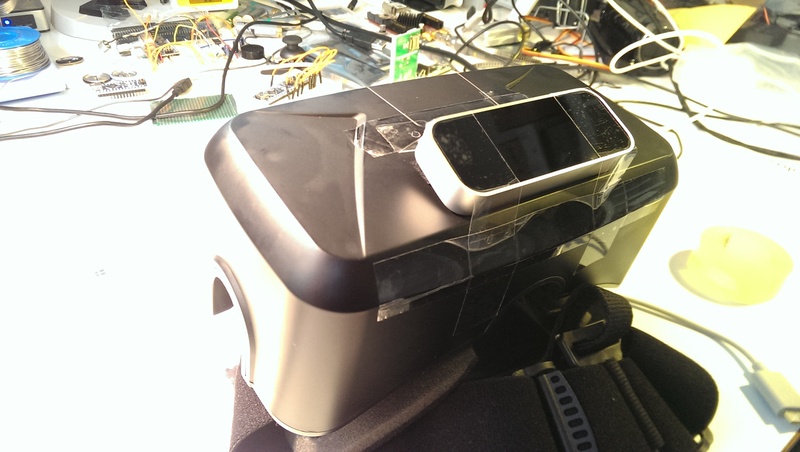 so, hardware-wise, #1 of my three integration projects is done. 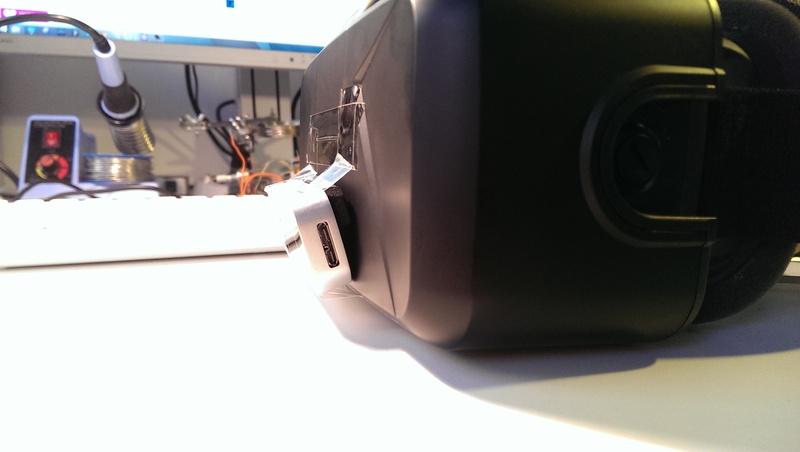 next up the asus xtion sensors (equivalents of the microsoft kinect) and the wii fit board. now, there’s leap motion’s v2 of their SDK, the latest version includes support of the leap “looking down” and to be mounted on vr helmets. so let’s see wether that’s simple enough for me to get up and running. so right now there’s not much more to find, but i contacted both developers to see what’s wrong with my setup (or their code). 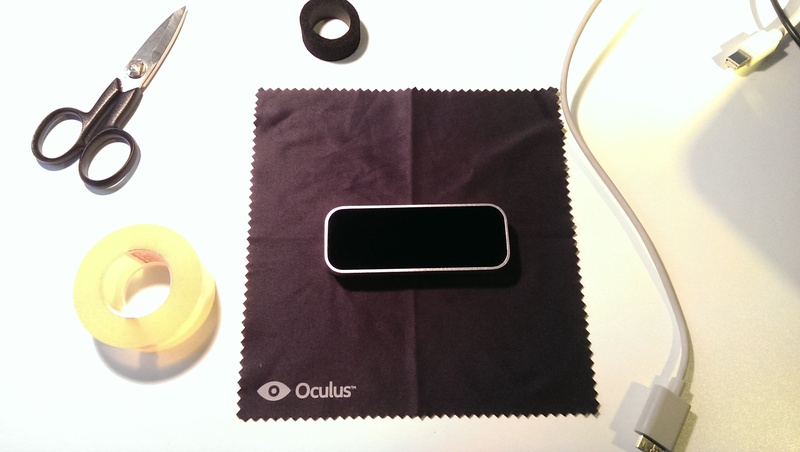 oculus rift shipping and what i plan to do with it! This entry was posted in virtual reality on 12. October 2014 by ramin assadollahi.